When you work with an Uptown Down Atlanta wedding DJ, you’re taking a step in crafting YOUR unique love story to tell on your big day. Don’t take our word for it. 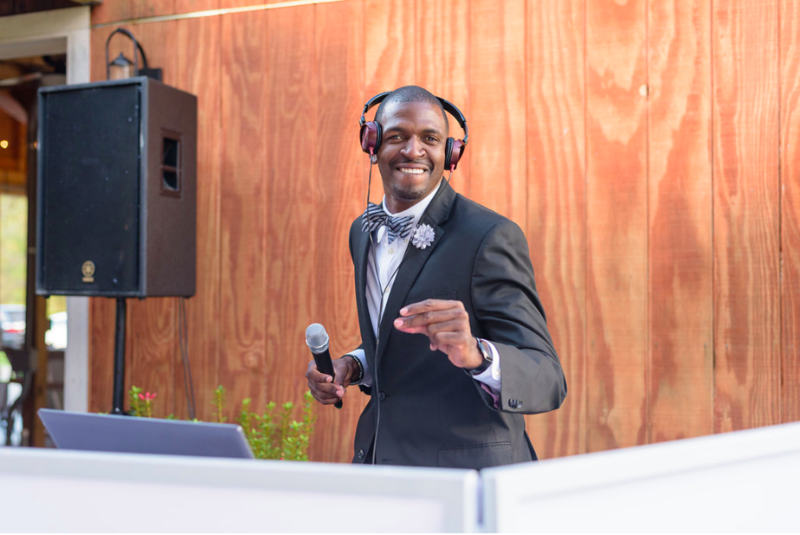 Here are some reviews from recent performances with our awesome Atlanta wedding DJs. “A simple review could not do justice to how awesome Uptown Down is. From the very beginning, my experience was easy and you could tell how much they actually cared about making everything perfect… My wife and I had the privilege of enjoying them during our wedding reception and we continue to get compliments from friends and family on such a good choice. “Uptown Down played at our Falcons Landing Tailgate before the Atlanta Falcons vs San Diego Chargers game. They were a huge asset and got the crowd up and dancing with a variety of songs! “Uptown Down Atlanta wedding DJs were EXACTLY what I was looking for for my wedding.